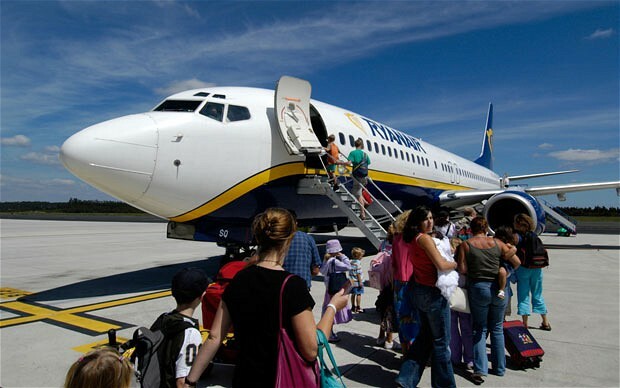 Low cost flights to Malaga with Ryanair - are they worth it? Ryanair operates nearly 40 routes from Malaga airport, and is often credited with revolutionizing the travel industry with its ‘no fills’ approach to short haul flights. Back in Ryanair’s glory days their cheap flights and ‘everything optionally extra’ approach served the firm well. They regularly posted record profits and their approach was copied by a number of other airlines. In fact, thanks to Ryanair, paying extra to carry a suitcase on a flight is now standard and most of us are prepared for a myriad of additional charges when booking our flights online. After years of dominating the low cost flight market, Ryanair found themselves in a situation where travellers were actively avoiding their flights. With costs rocketing, consumers would no longer accept the compromise between cheap fares and poor service because when all costs were taken into consideration, the fares weren’t actually that cheap anymore! The airline was already notorious for charging a high fee to check in baggage (up to £35 for a single 15kg bag), but a recent study by website TravelSupermarket revealed that the cost of six items on Ryanair’s in-flight menu (a cup of tea, a sandwich, a tin of Pringles, a Kit Kat, a bottle of water and a glass of wine) often cost more than the actual flight ticket portion of the overall sale. These findings come despite an announcement made in October this year where the firm set out its plans to improve Customer Services through a number of methods over a six month period. These include reductions in baggage and pass re-issue fees, a 24 hour ‘grace’ period to amend online bookings, and more interestingly, the introduction of ‘quiet flights’ before 8am and after 9pm. These changes come as a result of Ryanair ‘actively listening and responding’ to their customers, yet these are the same customers who responded to the recent ‘Which?’ report which found the firm fared poorly in each of the categories reviewed – baggage allowance, boarding arrangements, seating allocation, and food and drinks – scoring just one out of five in each category. So aside from reducing fares (and presumably their profit margins) what can Ryanair do to improve its perception in the marketplace? If you could speak directly to chief executive Michael O’Leary, what would you suggest would improve your experience of Ryanair? Can they ever improve their image? Or are they doomed to be the airline we love to hate? We’d love to hear your comment below. Next Next post: When to visit Malaga in Spain?